My husband and I enjoyed the most perfect day at the lake. 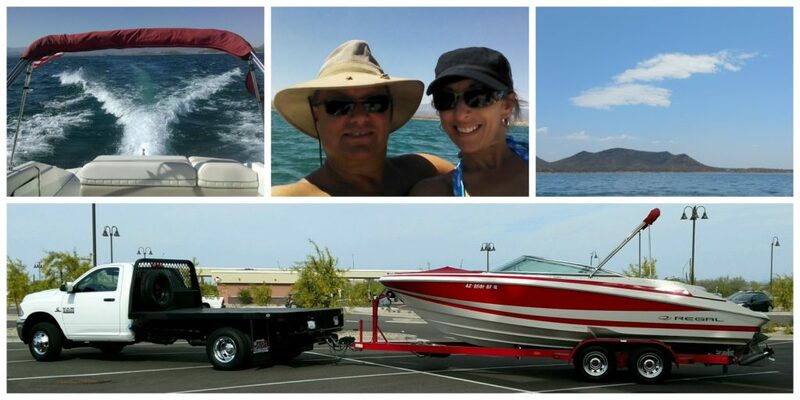 Our little boat, The No Agenda, hadn’t seen the water in a couple of months and it was time to get her wet and take a day off for some R & R.
We left early and beat the crowd at the boat ramp. A storm the night before brought a welcome (albeit small) drop in temperature, the water was smooth, and the company great. And that’s exactly how I could choose to sell it on social media or in conversation with others. And it wouldn’t be hard, would it? Heck, I’ve got the pictures to prove it. Many of my family and friends would be envious wondering why their outings don’t go as perfectly as mine. Just as I sometimes do when I look at their pictures. You know the drill. You scroll through your Facebook newsfeed and see ‘perfect’ moments in time that others have captured. The perfect child. The perfect spouse. The perfect meal. The perfect day. The perfect vacation. We pretend to be happy for them. And sometimes we genuinely are. But more often than not there is an awful, little tug right down in the core of our being that wishes their life wasn’t so perfect. Or that ours was. And we are ashamed. We don’t set out to be negative or resentful. Our intent isn’t to hate on their joy, but in that deep, dark, quiet spot we keep hidden from plain sight, our sin nature rears its head and it happens all the same. There is shame and embarrassment in our reaction, so we hit the LIKE button and make some lame comment declaring our phony enthusiasm. If we’re really feeling guilty, we go straight to the HEART button and share our love. But, would we be envious if we knew the REST of the story? Because as we all know, there are very few perfect children or spouses or meals or days or vacations. How perfect does it look now? The storm the night before blew in tons of icky dust that had settled like a thick, dirty cloud on the valley and the threat of more storms cut our day short. There were loads bees buzzing around at the boat ramp and a few stuck with us until we were well underway. EW! And we spotted several dead fish floating on the lake which was really unsettling. Sure, we’ve seen them here and there before, but never eight or ten of them in one trip. If I posted THESE pictures either instead of my ‘fantasyland’ ones, or at least in addition to them, how many of you would feel oh-so-much better? “Bee” (pun intended) honest with yourself folks. Would our ‘not-so-perfect day’ be FAR less threatening to your psyche? You might feel a little sorry for me, get a chuckle out of the whole ordeal, and even relate on some level. And you would feel good about it. But envious? That likely wouldn’t be your first reaction. And just about anything but envy is often welcomed and appreciated. Sympathy, pity, empathy, humor, and relatable are far more palatable than a dish of perfect. Good Lawd! What does this say about us? We are flawed, imperfect human beings, and regardless of where we are in this crazy journey, we should continually strive to improve the standard. If you feel so inclined to share a snapshot of your life, share reality. Give em’ the whole picture and story. Just be honest and don’t pretend or mislead. If you have a moment that feels perfect, then by all means, spread the blessing to your friends and family. However, when the not-so-perfect occurs, don’t feel you have an image to uphold or reputation to protect. Don’t worry about reactions or competition. Just be real and be yourself. Rest in the comfort of honesty. If you’re listening to or looking at someone else’s journey, don’t allow selfishness or insecurities to dictate your reaction. In that deep dark quiet spot, battle for goodness and love to win. Fight to conquer unhealthy and destructive emotions. Whether it’s a picture-perfect post or one wrought with angst or sadness, commit to a genuinely loving reaction. Relish in your friend’s joy and take no delight in suffering or sorrow. Regardless of the circumstance, love purely and deeply. When it comes right down to it, how we feel has little to do with someone else’s post or life. It speaks more to our own personal contentment and joy. Or lack thereof. While never much of a jealous person, the few remnants left of this unwelcome emotion have all but disappeared. My joy truly comes from the Lord and the closer I walk with Him, the harder it is to feel any shred of discontentment, competition, or envy. Draw near to the Lord and do a work of decluttering in your heart and mind. Set an unprecedented standard for love, appreciation, and most of all, joy! This entry was posted in Inspirational, Self-help, Uncategorized and tagged contentment, declutter, decluttering, discontent, envy, God, joy, love. Bookmark the permalink. 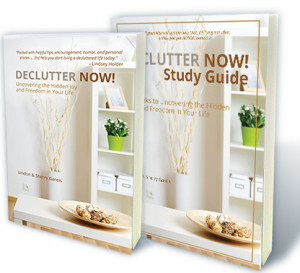 3 Responses to Decluttering Fantasyland…AND Envy! You are welcome my friend! I suspect we all have some of this going on, and instead of covering it up and pretending, I’d rather deal with it head on and keep it real. The more God we infuse, the less space we have for all the nonsense! Love you!